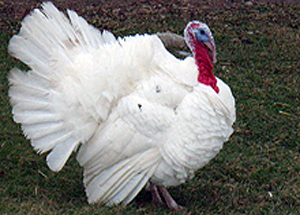 Beltsville Small White Turkeys are available for custom order. These turkeys are naturally developed in a stress-less, free range environment. Considered by Chefs and Foodies alike as a premium gourmet item, this item will grace any dinner table with style. You too can enjoy a festive and delicious family feast with this rare bounty from the horn of plenty.